This year, the UK’s mobility accreditation body Carplus Bikeplus rebranded and brought forward CoMo (“Collaborative Mobility”). This is an organisation which unites the varying streams of modern day mobility. In the UK, CoMo serves as a body which oversees the accreditation and monitoring of shared mobility such as shared bike schemes, car clubs and ride-hailing services. Last week, they hosted their inaugural conference which brought together these different streams to discuss how the changing landscape in the UK is affecting cities, their citizens and transport authorities. We spent two days with our ears open and pencils at the ready to take in new trends and better grasp the next wave of shared mobility. The Americans are here - will scooters be? Our first take away from the event is that the Americans are here. Where similar conferences last year were dominated with Chinese operators such as Ofo and Mobike, this year their presence was near absent and in their place were the likes of JUMP and Lime. JUMP was the principal sponsor, but kept a relatively low profile - implying that while their launch in the UK is forthcoming it may still be many months off. Equally absent from this year’s conference were the buzzing two-wheeled electric scooters. Both Lime and JUMP brought an electric bike for attendees to whip around on, but neither brought forward the idea of electric scooters. Despite whispers that Bird has landed at London’s Here East in Queen Elizabeth park, the company refrained from publicly joining the conversation. With current regulation in the UK prohibiting electric scooter usage in public space, it will be interesting to see if international appetite for the zippy little innovation will spread to the UK, spurring new regulation here. ↑ 73% of the London scheme's initial 7200 shared bikes are still in operation. Hot on the agenda was how new mobility companies can assist urban agendas and work in tandem with cities to develop solutions which are profitable but also publicly accessible and equitable. Local authorities were keen to see operators take a stance on social issues and work with them to address gender, age, and race-based gaps in cycling demographics. Representatives from local authorities, CoMo UK, and Sustrans all emphasised the growing need for private companies to thoughtfully consider how they encourage groups consistently left out of cycling to get on two wheels. 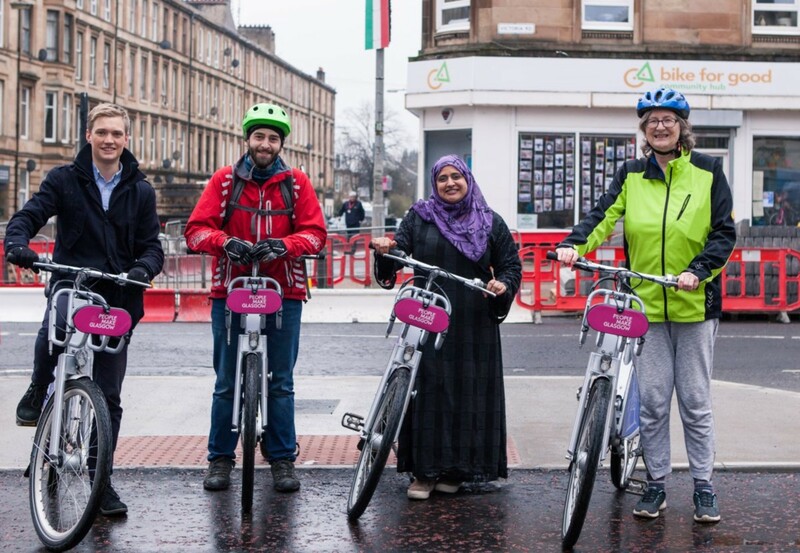 Recommendations include partnering with local authorities to provide subsidised memberships; community engagement; payment schemes which give access without a smartphone or credit card; and focusing bike redistribution to low-income neighbourhoods. We’ve yet to see such methods adopted at scale for UK cycle hire schemes and believe that in the next year these issues will push micro-mobility innovation across the region. Building upon this topic of inclusion and equity, another highlight includes a keynote by Robin Chase, founder of Zipcar, on the Shared Mobility Principles for Liveable CIties which she initiated. Organisations such as Uber, Lyft and Ford have all adopted the principles, signalling a significant shift in thinking about urban mobility. 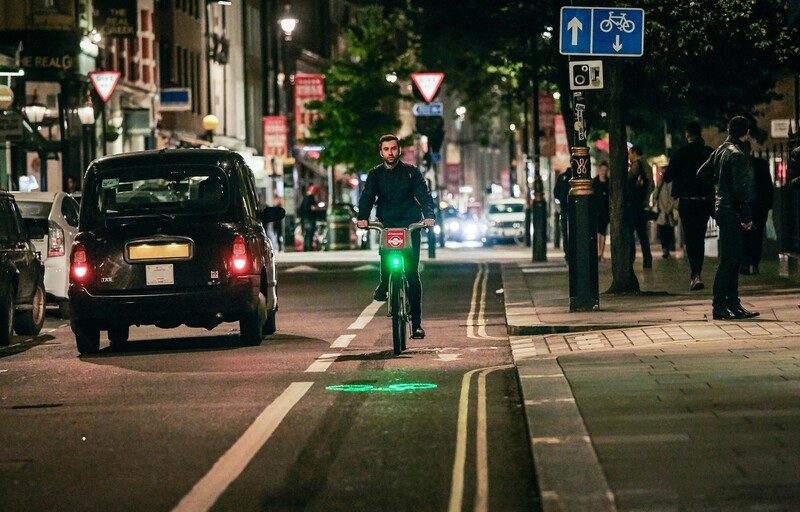 The principles include prioritising people over vehicles, sharing data with cities and the public, fair user fees, as well as encouraging zero-emission travel. Meanwhile, while the conference was ongoing, the CEO of Uber announced a $10 million pledge to these principles indicating they may actually be thinking seriously about the future of transport. Another highlight was a historical perspective of London’s cycle hire schemes. Oliver O’Brien from UCL gave an informative presentation which encapsulated the success of London’s Santander Cycle scheme in comparison to the suite of dockless providers who flooded the streets this past year (73% of the London scheme’s initial 7200 bikes are still in operation!). He showcased data that demonstrates how Mobike has reduced their operating area by 80% in London from their peak operations earlier this year. ↑ CoMo work with bike share schemes around the UK to promote cycling as a mode of transport. To wrap up, CoMo UK Chair Matthew Clark asked a group of panelists from Beryl, Uber, Mobike and InMotion Ventures if they anticipated attending the conference next year and representing their current employer. As some panelists squirmed, attendees erupted with laughter. Clark probed at the elephant in the room: that so far micro-mobility has had a precarious year in the UK with large international companies leaving prominent urban markets under a cloud of bad press. We look forward to next year’s event, hoping for further engaging panels and sessions with another blend of international and local perspectives. Until then, we’ll take away lessons about working thoughtfully with cities and be monitoring the change we see across the UK until next year’s convening of minds. To learn more about Beryl and urban mobility solutions, discover our Bike Share technology.